Helsinki indie pop combo Cina Polada are finally back with their first piece of new music since late 2015, and we’re very proud to announce that we’ll be releasing their self-titled debut EP on September 29. Cina Polada is led the duo of Hilla and Tatu Miettinen, accompanied by Tatu’s younger brother Teemu and good friends Tony Salo and Nita Mattila, but was originally started as a solo project of Hilla’s. 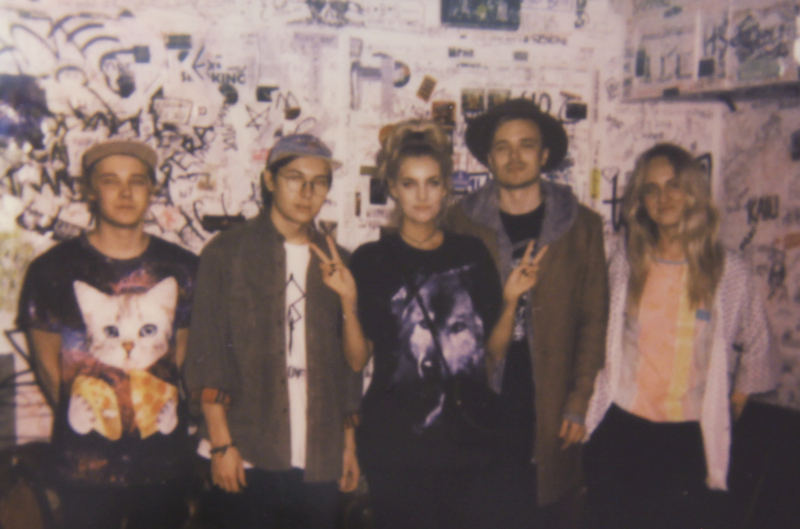 The band made a splash with three gorgeous singles during the second half of 2015, drawing praise from the likes of GoldFlakePaint (where we first heard them) and Ja Ja Ja who named them of the Nordic Artists to Watch for 2016. It took another year for the band to finalise their first proper release, and on September 29 the self-titled debut EP Cina Polada will be released digitally and on limited edition cassette. It’s one of the finest indie pop releases we’ve heard in a long time, drawing on the catchy and wistful sound that made their first few singles so instantly delightful, and granted them comparisons to the likes of TOPS and Yumi Zouma, while stepping up both the production and songwriting. The first taste of the EP arrives in the shape of lead single “Gloom”, which is out now.